Clark, who did not have any verbal outbursts in court as he has in the past, is due back at the Central Justice Center in Santa Ana on Dec. 12 for arraignment and a review of his $1 million bail. 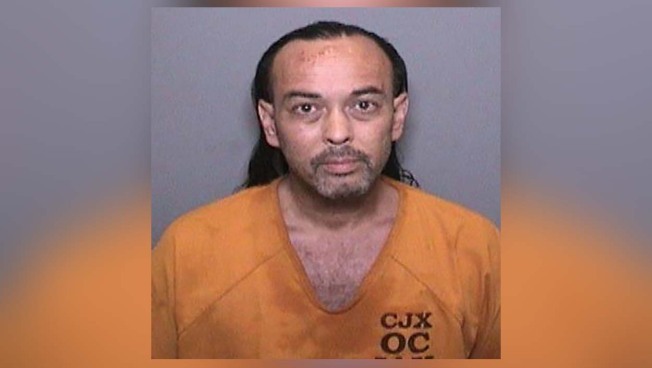 Forrest Gordon Clark, 51, was arrested Tuesday Aug. 7, 2018 in connection with the Holy fire in Riverside and Orange counties. 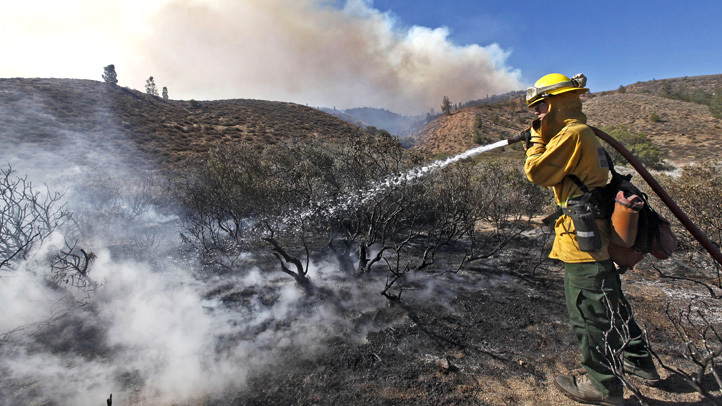 An Orange County Superior Court judge ruled Wednesday that a man charged with setting the 23,000-acre Holy Fire last August was mentally competent enough to assist in his defense, restarting criminal proceedings against the defendant. Criminal proceedings against Forrest Gordon Clark, 51, had been suspended while mental health experts evaluated him to determine if he was mentally healthy enough to assist in his defense. Initially, a defense expert concluded Clark was mentally incompetent, but a prosecution expert ruled otherwise, prompting Judge Mike Murray to appoint a "tie-breaker" expert, who concluded Clark was capable of assisting his attorneys in his defense. Clark's attorney, Nicole Parness, has been pressing prosecutors to turn over more evidence in the case. She has been pushing to obtain text messages allegedly sent by Clark to neighbors, as well as surveillance video footage. On the day the Holy Fire erupted on Aug. 6, Clark allegedly threatened to kill a neighbor about 7:30 a.m., prosecutors said in a previous motion to deny him bail. As the victim walked to his truck, Clark allegedly told him that he "(expletive) with the wrong person," according to the motion. "The defendant stated that he was 'crazy' and noted it was 'perfect' because he could do anything he wants and get away with it." Later that day, he allegedly set fire to his neighbor's residence in Holy Jim Canyon. The blaze ultimately also destroyed 13 other residences. Orange County sheriff's investigator Jennifer Hernandez said in an affidavit supporting the motion to deny bail that Clark `"could be heard on video telling (a victim), 'Mark my words, you're gonna die at 12:37... I have 100 percent plausible deniability. You're gonna die. I'm gonna murder you.'" Clark allegedly made at least five "specific threats" and "allusions" to set fires, according to Hernandez, who said the defendant "appears to believe in the Sovereign Citizen ideology." The ideology's supporters "believe the government does not have the authority to enforce a majority of our laws and taxes," Hernandez wrote, adding that not everyone who subscribes to the theory is violent, but law enforcement recognizes it as a "terrorism threat." Clark could face 10 years to life in prison if convicted of aggravated arson damaging at least five inhabited structures, arson of inhabited property, arson of forest and making criminal threats, all felonies, as well as two felony counts of resisting arrest. Orange County sheriff's deputies have had multiple encounters with Clark dating back to 2006, according to Carrie Braun, a spokeswoman for the department.